Paying Bills Using CIMBclicks – footsteps……..
Paying Bills at your finger tip made easier with mobile apps. CIMBclicks is one of the local banks in Malaysia that provide online banking on the web and also on mobile gadgets. Here are the steps to perform your online banking using CIMBclicks. 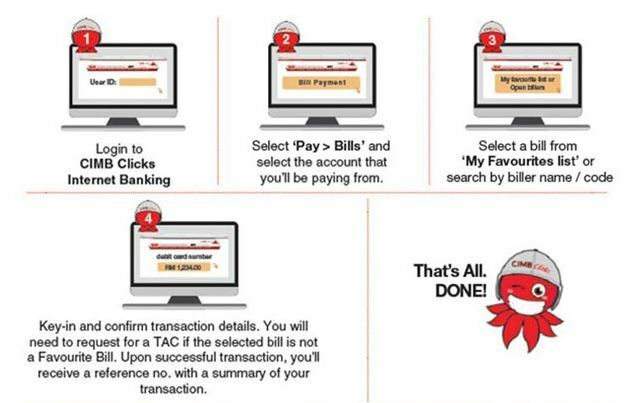 CIMBcliks also provides multiple bill payment with just a few clicks. Click HERE for more information.